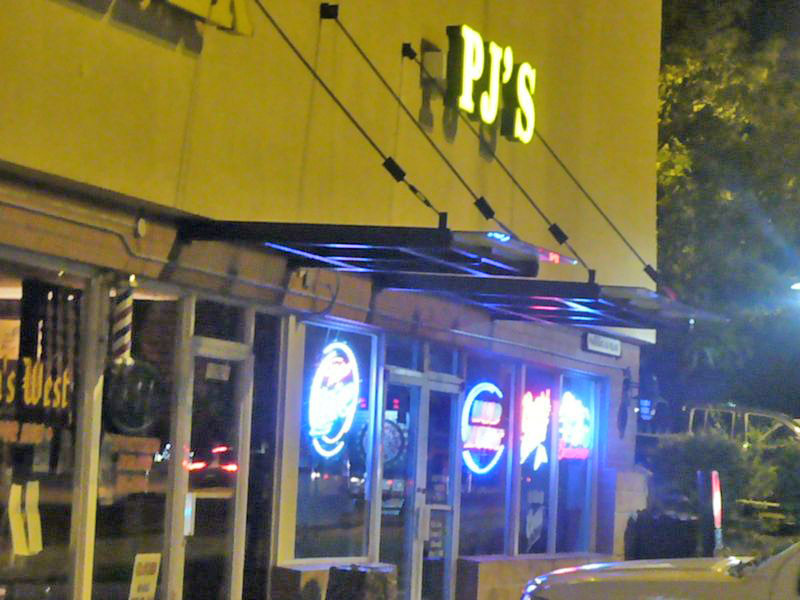 As of May 2011, PJ’s appears to have closed. 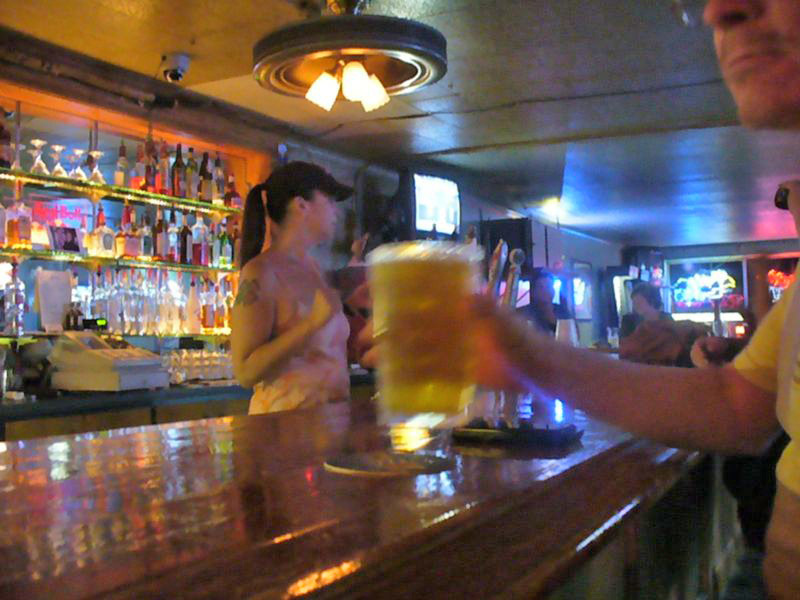 Scooter’s 759th bar, first visited in 2010. 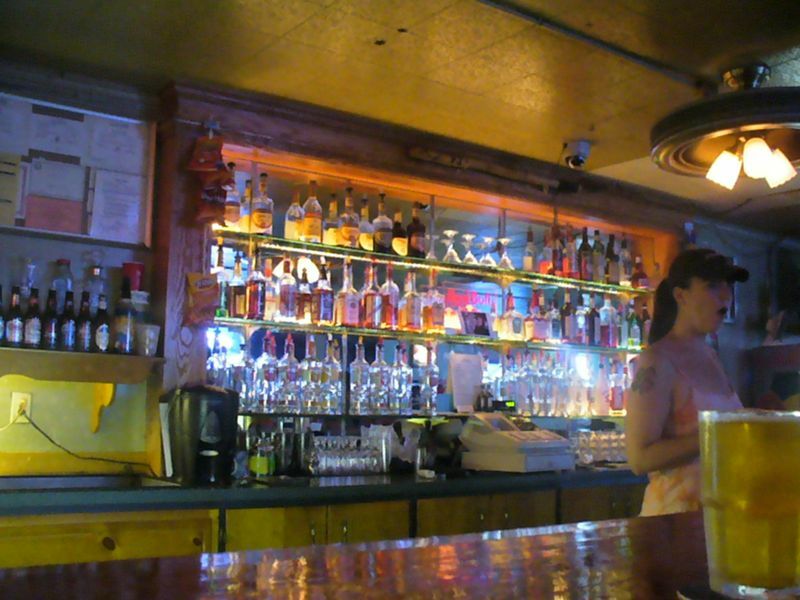 This strip mall sports bar is really showing its age, but it’s not a bad place to stop in and have some cheap drinks. There’s a bit of a musty smell but that didn’t really bother me. The bar is long and L-shaped. The venue is fairly large — much bigger than it looks from the outside. 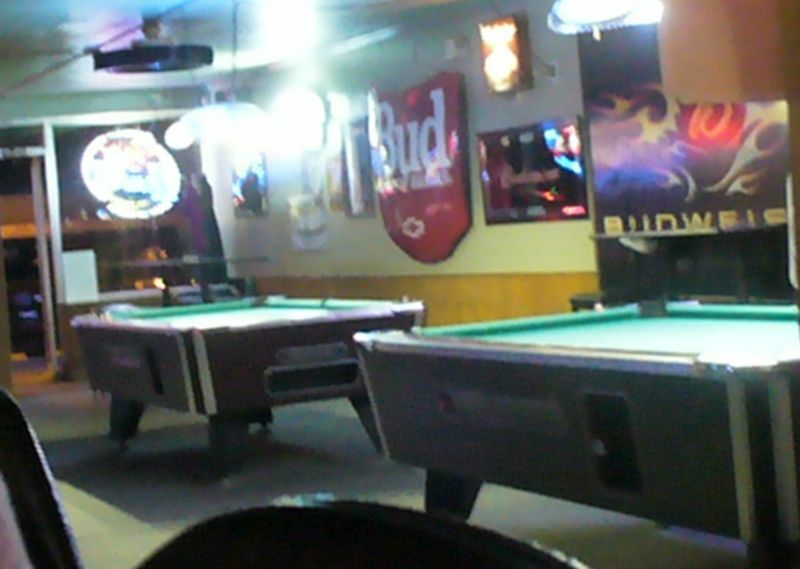 There’s a couple of pool tables, MegaTouch, several tables, and an area for live music and dancing. Karaoke was underway during my visit. I’ve seen this place packed several times while driving by, but on the particular Friday night I visisted there were only a handful of people in the bar.